The substantial and economically significant Chinese community in Thailand had endured severe pressure from both the Thai Government and the Japanese during World War, while at the same time a number of local Chinese had reaped handsome profits by selling goods to the Japanese army. Naturally this incongruous situation had built up tensions within the Chinese community that burst into the open with news of Japan’s surrender in August 1945. Loyal supporters of Chiang Kai-shek’s Nationalist Chinese government set off fireworks and paraded in Bangkok, expressing both their joy over Japan’s defeat and their contempt for the Thai government that had allied itself with China’s bitter enemy. 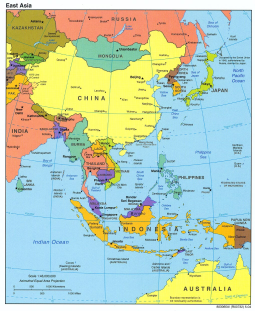 On one hand, the Japanese had naturally distrusted the Chinese in Thailand, as elsewhere in Southeast Asia, because of their patriotic support of Nationalist China’s cause in the Sino–Japanese war. However, since the Chinese dominated Thailand’s economy, the Japanese soon realized that they could not simply suppress or ignore them. As Thailand became a vital supply base for the Japanese Army’s operation in Burma, the Japanese had no choice but to mix some carrots with their sticks in order to induce Chinese cooperation. The local Chinese Chamber of Commerce oversaw the effort to placate the Japanese, permitting a number of local Chinese to add to or build fortunes as war contractors and suppliers. 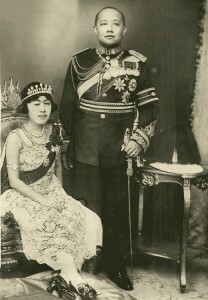 On the other hand, Thai concern about the rise of Chinese nationalism had developed from early in the century when King Vajiravudh (r. 1910–1925) had dubbed the Chinese the ‘Jews of the East.’ Thais particularly resented the large remittances sent to relatives in China, which they felt drained funds from the local economy. They also feared the local Chinese might become a ‘fifth column,’ loyal to their country of origin rather than to Thailand. Measures by the Phibun Songkhram government to bar Chinese from designated occupations and certain strategic areas had further intensified Chinese resentment toward the Thai government. On the day after Japan’s surrender, a machine-gun-wielding assassin killed Chinese Chamber of Commerce President Ch’en Shou-ming, in apparent payback for his cooperation with the Japanese. At the time, Nationalist China’s enthusiasts in Bangkok hopefully anticipated that at least part of Thailand would be occupied by Chinese troops, believing this would force the Thai Government to modify its past policy of avoiding formal recognition of the Chinese Government. The Thai had long feared that a resident Chinese ambassador would inevitably meddle in Thailand’s domestic affairs by advocating for interests of the Chinese community. The resident Chinese certainly hoped that would be the case. The anticipated occupation did not come, but as tensions rose between Thai and Chinese, gun fights broke out in Bangkok’s Chinese district on September 20th between armed citizens and the Thai police. 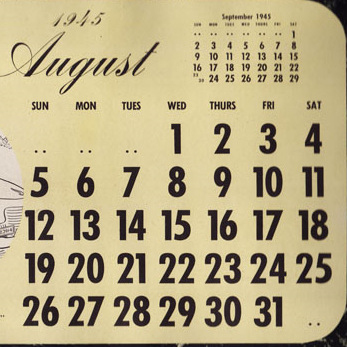 A few days later, as clashes continued, Chinese merchants declared a general strike. The tense situation persisted for a month, although violence gradually subsided as both sides took actions to de-escalate the conflict. Casualty figures recorded 27 dead on the Chinese side and at least nine on the Thai side. Many others were injured. In the end, the Thai Government had no choice but to normalize relations with Nationalist China as part of the war settlement, but the window of opportunity for any active role in Thailand would prove narrow, as China soon descended into civil war and four years later Chiang Kai-shek would retreat to Taiwan. With the Chinese Communist Party in power on the Chinese mainland, the Thai Government had a new excuse for avoiding diplomatic relations. Nonetheless, the postwar years would see a reduction in Thai–Chinese tensions as the military officers who seized power soon realized that pursuit of mutually beneficial relations with wealthy Chinese businessmen offered more benefit than suppressive policies. Phibun Songkhram was a leading figure in Thailand's recovery of the 'lost territories' in 1938. The Field-Marshal's alliance was at least a temporary liability. 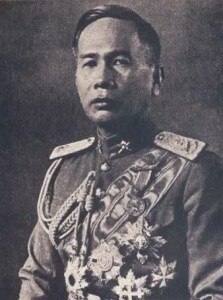 Phibun was ousted in 1944 but had returned to power by 1948.